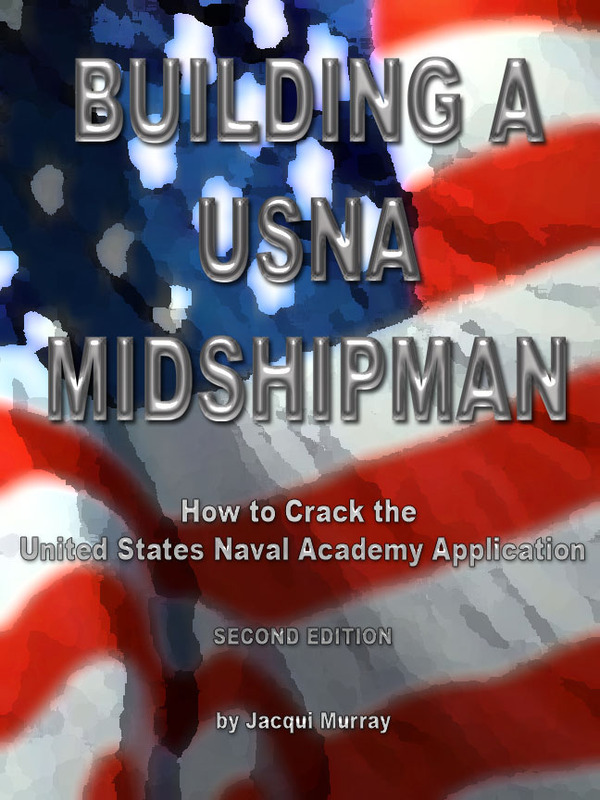 Headed for USNA? Prepare Yourself–Senior Year | USNA or Bust! Now, you’re ready to start the Academic year. First, you request letters of recommendation from a math and English teacher. That’s all the Academy wants—just those two. You can submit additional recommendations, but they advise against it. Next, you have to round up recommendations for the Congressional nomination—two each for Congressman Cox, Senator Feinstein, and Senator Boxer. Your teachers tire of your never-ending requests, and it’s only September (you have five more colleges that each need two letters—some teachers will have to do multiples. One teacher does eight at once!). Then, you request transcripts for all Congressional representatives, for the Naval Academy, and for the NROTC application. But first, you round up last year’s English teacher, who reported the wrong grade on your report card. He must correct that grade, then you make sure the transcripts get updated before following up on a request they be mailed. OK, that worked out fine…One more thing: you get the counselor to sign and mail the Candidate Activities Record—you fill out all of the high school activities, classes, sports, clubs, etc. that you participated in and the counselor approves and mails it. Your class load includes AP Calculus, AP Biology, AP English, AP Civics, Theory of Knowledge, Cross Country, and Orchestra. Your extra activities include PSYO orchestra practice Sundays and work ten to fifteen hours a week.The Senior class challenges remain: Who will be Valedictorian? And who will get the most awards and scholarships? You don’t care about those—you won’t be the ultimate or penultimate in your class, and you’ll get the awards you get. No more and no less. But, it keeps everyone in your group working hard.Your important goals for October are:Submit the Siemens Westinghouse projectStudy for and retake the SAT (you’re still trying to break 1400—and this time you do! )Complete the PAE. You practice as often as possible during the week and mock-test yourself every Sunday. You’re rewarded with an excellent test—you pass with flying colors (see PAE section)Make sure your updated information makes it to Congressman Cox for next month’s interview In November, you prepare for and take your Congressional interview (see Congressional Interview section). Your Blue and Gold Officer follows this up with his all-important stamp of approval, which he then mails off—the final piece of your application.Now you wait. The CIS shows your application to be incomplete—you’re missing the B&G Interview. You check with Gus Laney, and he checks with the Naval Academy. After some effort, this item clears and you show a complete package. That means the Review Board can now assess your application and approve (or disapprove) your appointment.You wait … You wait some more. School seems anticlimactic to decisions being made across the country. November passes. The Holiday season arrives. All you want for Christmas is…. You receive a letter from the Naval Academy. Not a big package, but a legal-sized envelope. Light weight. Maybe one or two sheets of paper. You open it.An invitation to Candidate Weekend Visit (see Candidate Visit section). Your acceptance letter is in the mailbox that evening for tomorrow’s pickup.December comes and goes. January brings semester finals, one more round of SAT’s, and Candidate Weekend.You wait. Your schoolmate receives his acceptance into the Naval Academy. Time stops. You share his excitement, but what does that mean for you? Your group of friends mentally moves on to college. Several already have early acceptance—to Harvard, to Stanford, one to Harvey Mudd. They post their acceptances on AIM. Dhana (future Johns Hopkins student) gets bored in Twentieth Century Topics and alphabetizes the bookshelves. Alec (future Harvard freshman) updates his screen name in Theory of Knowledge. AP Biology study groups turn into gossip sessions—who got accepted where, and what will it be like? All you can post is, waiting, waiting.That changes in February. The mail arrives at 2:24, although you don’t get home until 3:16. You head from your car to the mailbox, not hurrying, but not dragging. The same movements you’ve followed every day since October when your application package showed as complete on CIS. But today is different. When you tug open the front of the mailbox, there’s a large manila envelope, stuffed diagonally into the too-small inside. The return address says ‘USNA’.In that instant, faster than the brain’s synapse takes to travel from your eyes to your excitement spot, you no longer feel like a high school student—a young kid taking classes and studying for tests. The horizon lines marking your life’s events, built layer upon layer, have finally exposed your present: You are a United States Naval Academy Midshipman, a Plebe, ready to take your place next to 1200 other white-uniformed high school graduates, raise your right hand and say ‘I do’, and commit your next nine years to the US Navy.You send thank-you’s to everyone possible—the Congressman, Leslie Duvall, everyone who wrote letters of recommendation, your B&G Officer. Everything about senior year becomes secondary to preparing for Plebe Summer. You are thankful that second semester you have only five classes—AP Calculus, AP Biology, AP Psychology, AP English, and Orchestra. Calculus is all-important because you’ll have to take Calculus as a Plebe.You spend two to three hours a day working out—running, weight-lifting, biking, whatever will strengthen you for the rigors of Plebe Summer. Your grades drop somewhat, but so do everyone else’s. And you finish the important things. Your Calculus grade improves second semester, because you’re studying for the love of the class and for your future. You end up with a 4 on the AP Calculus test as well as the AP Biology test, though the Naval Academy still requires you validate your knowledge.In April, you receive a packet from the Naval Academy requiring dental records, immunizations and extra shots. It takes you a day and three trips to doctors, but you round everything up. The Naval Academy recommends obtaining a passport, but you run out of time. Many of your friends have heard from their selected universities. You all have chosen colleges and universities in diverse parts of the nation. You make pennants and post them on the wall of your English classroom—a visual representation of accomplishments. And, before you know it, Senior Year has ended; with a flurry of graduation, goodbyes and guarantees to stay in touch, you’re off to your future.